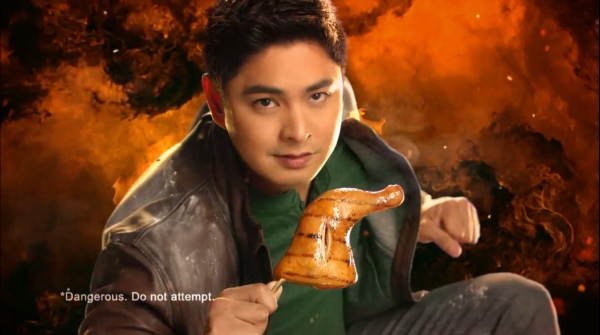 The King of Primetime Coco Martin stars in a new action thriller – this time, in the newest television commercial (TVC) of Mang Inasal, the leading Pinoy restaurant that serves the 2-in-1 sa Laki, Nuot-sa-Ihaw Sarap Chicken Inasal. 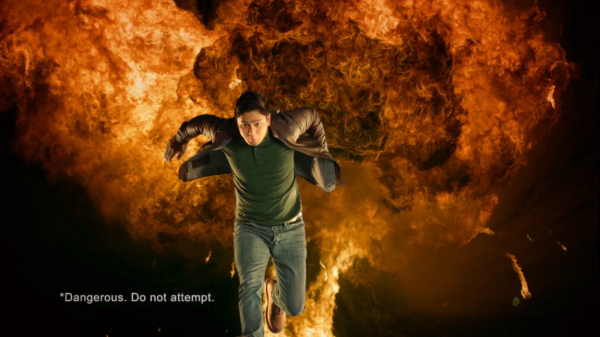 The 15-seconder TVC features Martin in his element doing his usual heart-stopping stunts, while braving blazing fire and cinders. And all of these are set in a Mang Inasal store’s kitchen, where the real action really happens – flames and flavors combine to create the ultimate nuot sa ihaw sarap of the country’s most-loved chicken inasal. 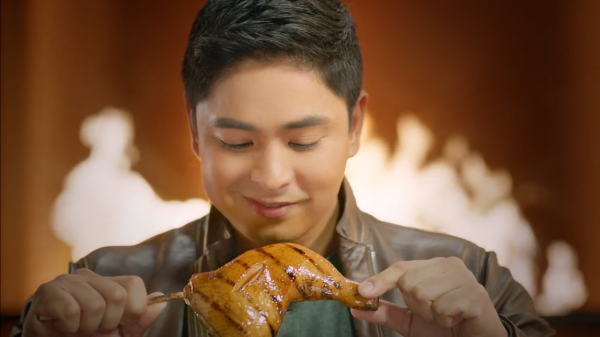 “Our new TVC showcases our Chicken Inasal’s explosion of flavors, because we grill it in such a way that our special marinade not just coats but permeates the entire chicken. 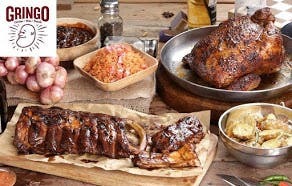 So whenever you have a bite of our Chicken Inasal, you will get thrilled with its perfectly grilled taste,” she said. Mang Inasal’s Chicken Inasal is prepared using a unique recipe, where choice cuts of guaranteed high-quality chicken are soaked in a special marinade made out of local secret spices, carefully skewered and grilled the Mang Inasal way. Further endearing Mang Inasal to Pinoys are the restaurant’s homey, grillery ambiance and pioneering unlimited serving of rice for all its Paborito meals. It also allows diners to savor the No.1 chicken inasal with special condiments, like chicken oil, which makes Mang Inasal meals even more flavorful. Mang Inasal opened its first store in Iloilo in December 2003, and has since then become one of the fastest growing restaurants in the country with over 500 outlets nationwide and counting. To know more about the leading Pinoy branded quick service restaurant, visit their website at www.manginasal.com and like their Facebook page www.facebook.com/MangInasalPhilippines. Visit the nearest Mang Inasal store near you and get thrilled with the explosive flavors of the 2-in-1 sa Laki, Nuot-sa-Ihaw Sarap Chicken Inasal!